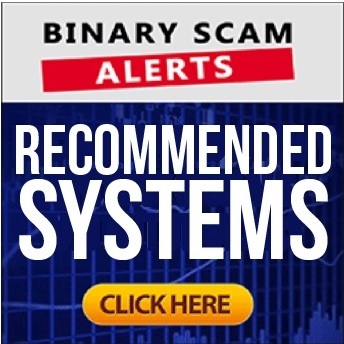 Binary Scam Alerts » Scam Brokers,Scam Complaints » Binary Scam Alerts Exclusive: Trader Getting Scammed By Big Option Live Recording! Every now and then we have day traders stepping up and providing us with evidence needed to BLACKLIST brokers, and in this case we had Carrol step up and provide us with live audio recordings of how she got scammed by a rogue binary options broker called Big Option. Now, we have about 30 minutes of recorded SCAM conversations between a victimized trader simply looking to profit trading binary options online, and Big Option which has been around for quite a while and has created a reputation for being one of the sleaziest brokers online today. There are also some fake reviews about this broker so be careful. Now, what you have here is just a taste of the original conversation and what went on, and if for some unknown reason we are approached by bullies or thugs that try to suppress this overwhelming evidence we will publicize 5 more incriminating YouTube recordings that are currently on private status. Only this time we will give out these recording free of charge to any blog looking to create a ruckus and it will go VIRAL in ways that can’t be reversed. Furthermore, we have additional corroborating evidence and information stored under lock and key and will use it if and when we see fit. We know brokers can act as bullies and make threats when their reputation is at risk, so we have made contingencies for this. In our post dated January 12, 2016 we outlined the most used binary options brokers scam tactics. I believe it’s fair to say pressure tactics were employed here, and I can pretty much promise you the name of the broker she is speaking to is most definitely NOT Allan Schweps. This name is too theatrical and most likely an alias, even John Smith sounds more credible than this since it is a very commonly used name. “Taking it for a Test Drive”: This was the term used by Mr. Schweps who can’t recall when was the last time he spoke to our latest victim the last time, and insists it was his colleague Mrs Alvarez who did the talking (at least that sounds real even if it’s not). So, to make a long story short Carole insisted that she was mislead by a deceptive app called the Millionaire’s Club. Our staff has publicly denounced and BLACKLISTED this software on April 6, 2016 when it was launched. Carole specifically told the broker who promised her she would make money to give her a refund, unless she sees some profit from her initial investment. Needless to say Mr Schweps can’t promise something like this, and judging from his demeanor and pushy attitude the only thing he can promise her is a world of pain and financial destitute. It’s also interesting to mention this person perceives himself to be a part of a financial institution. In reality Big Option is a textbook example of rogue operation. Now, every now and then they will payout, and generally speaking they will make sure that a certain amount of money exits the system but on the overall they are NOT your friends and they ARE after your money so be extra vigilant and when investing. Most people look for the system that can make them the most amount of money, when in reality its the broker which is the most important since that’s where you will be getting your money from, not some fake guru trying to sell you snake oil. We have seen many scam auto-traders, signals, bots, and copiers hitting the market these days. The worst ones seem to be the Millionaire Blueprint (AKA Free Money System), Lie Detector Millionaire, Amissio Formula, Drexel Code, and Centument. This will not stop and at the end of the day it’s your responsibility to educate yourself because there are NO excuses and eventually you will have to pay the price. We will not be recommending any offer today since this is not the usual SCAM REVIEW, this is strictly an educational post designed to wake you up and sharpen your senses. If you are hesitant and want to make sure which systems to avoid simply email us at [email protected] and we shall revert as fast as we can. We can always be reached through our Facebook Page and YouTube channel as well.